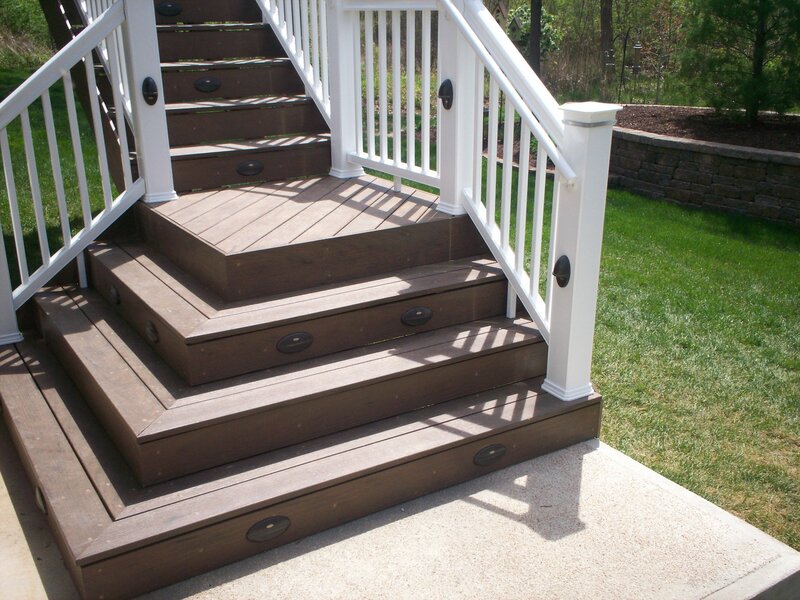 You are currently browsing the tag archive for the ‘bidirectional deck stairs’ tag. The Labor Day holiday weekend has passed. Children are fully back in the routine of school or have moved off to college. These events, and cooler weather, are indicative that our St. Louis summer is finally winding down which means it’s an ideal time for planning and building your new outdoor living space. 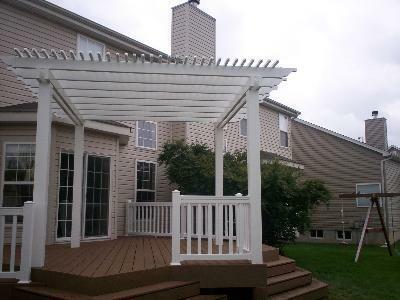 Featured here is a cedar two-story, multilevel deck in the Chesterfield area, with vinyl rails, deck lighting and a vinyl shade pergola. 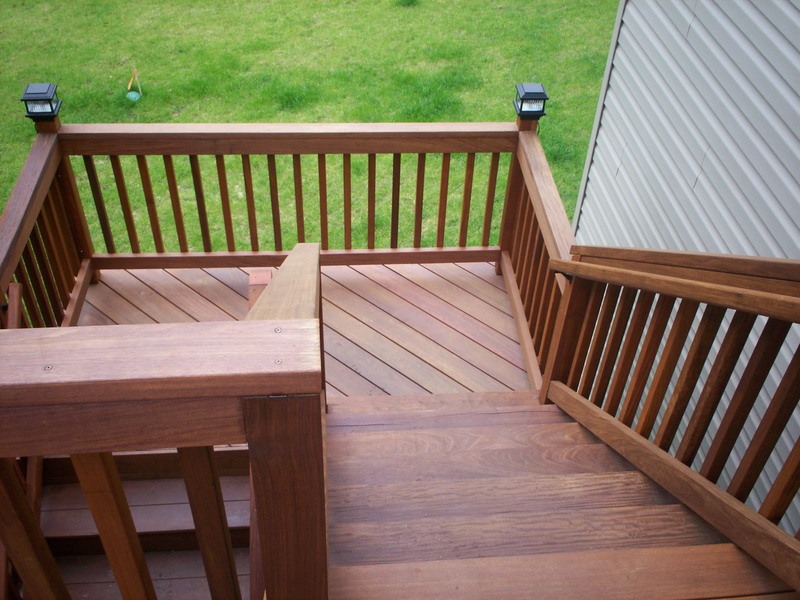 This is an outstanding example of a deck designed to fit a homeowner’s exact needs, space, personal style and budget… with room to grow. 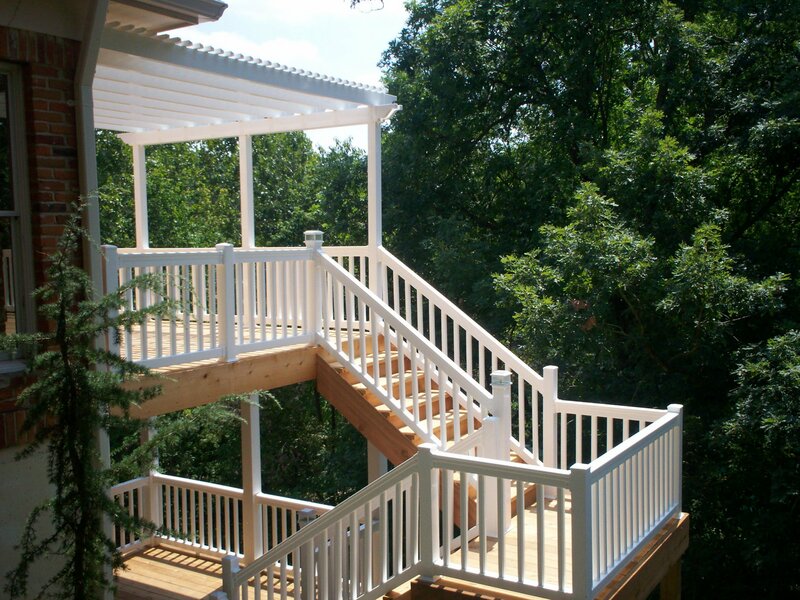 The customer lives in St. Louis West County with a wooded lot and beautiful scenic view. 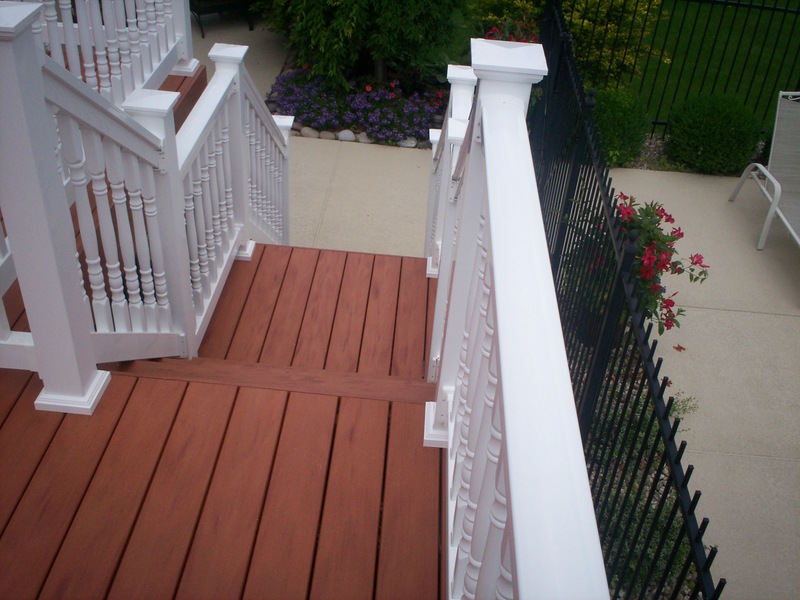 First, Archadeck designed a two story, multilevel deck to connect each of the home’s level to one another as well as the backyard. 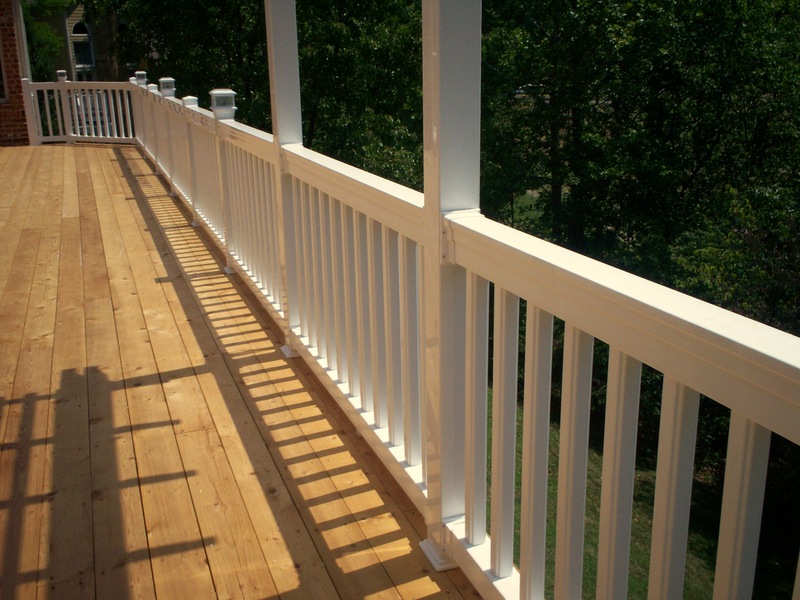 Second, we designed the deck to access and accommodate the contour of a sloping backyard while maintaining natural views and shade.